Worcestershire have signed Australia batsman Travis Head as their "main overseas player" for the 2018 season. Head will be available for all formats of the game for the newly-promoted Championship Division One side. The 24-year-old has played 34 one-dayers and nine T20 internationals. 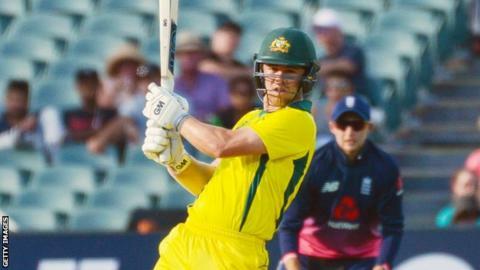 "He is ambitious to play Test cricket and Cricket Australia have encouraged him and other young players to play cricket this summer," Worcestershire vice-chairman Tim Curtis said. "He is hungry to do well and play all types of cricket and he also spoke to Moeen Ali in Australia and he gave him positive vibes about coming to Worcestershire." Although available for most of the county season, Head will miss two County Championship matches in June, with Australia playing England in five ODIs and one T20 game between 13 and 27 June. The left-hander, who also bowls off-spin, has scored 1,064 runs at an average of 36.68 for Australia in 50-over cricket, with his 96 from 107 balls securing Australia's only win in the 4-1 series defeat by England last month. He captained the Adelaide Strikers to their first Big Bash title earlier this month, scoring 44 not out in the final against Hobart Hurricanes to end the T20 tournament with 374 runs at and average of 53.42 and a strike-rate of 133.09. Head has scored 3,729 runs at an average of 35.17 in first-class cricket, and has also played in the Indian Premier League for Delhi Daredevils and Royal Challengers Bangalore.